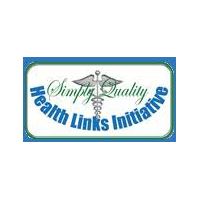 Health Links Initiative (HLI) is a Non-Governmental Organization, with a vision of 'Better quality assurance practices in public health laboratory and medicine in Tanzania'. It is composed of multidisciplinary team of experts drawn medical scientists, Information management, Health Economics, financing and Strategic planning, committed to support the health system strengthening. The Dar es Salaam Office is located at CAPITAL PLAZA PLOT # 397 Block 1 Mwaikibaki Road, 14121, Mbezi Beach B, Dar Es Salaam, Tanzania. This is a senior management position and the successful candidate will oversee project activities and ensure planning and timely executions as well as achievement of project outputs. S/he will be responsible to manage approved resources, schedules, budgets In adherence to Hu as well as CDC operating guidelines and contribute to process improvement as it relates to project deliverables. Under the supervision of the Director of Programs, Project Manager will work closely with CDC Tanzania Project Officer, Ministry of Health Diagnostic team,THPS and other Implementing Partners. • Ensure that all project technical staff have developed and are Implementing individual staff action plans that are in line with the donor-approved work plan and budget for the current year, and are clearly linked to the overall project performance-monitoring plan. The Senior Laboratory Scientist will provide technical support to the NHLS Project in all matters related to laboratory systems strengthening, including implementation of ECHO project, implementation of the laboratory quality systems and training. • Provide technical assistance to supported sites, including regular site level joint systematic supervision and mentorship to ensure smooth implementation of laboratory services in all supported SNUs. • Support collection, aggregation, utilization and reporting of laboratory data to facilitate informed laboratory strengthening decision making at all levels. • Demonstrated leadership skills including an approachable attitude, providing mentorship and technical support to staff working in the project. • Flexible with proven ability to conform to shifting priorities, demands and timelines. • Two to three years of work at supervisory level in a medical/clinical laboratory section including. • Two to three years'experience in training and coaching in medical laboratory diagnostics and professional behaviors. • Interact with staff and clients in a professional manner. Interested applicants should send their application through our email info@healthlinks.or.tz instructed under Job Vacancies section attaching their application cover letter one page maximum and CV with Maximum of four pages by April 24th, 2018. The subject of the email should be the job position you are applying for. Only shortlisted applicants will be contacted. Please do not attach certificate when submitting online. HLI is an equal opportunity employer; Women, People Living with HIV/AIDS and people with Disability are encouraged to apply.